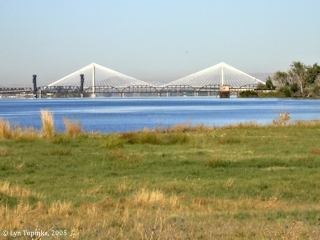 Click image to enlarge Pasco-Kennewick Northern Pacific Railroad Bridge, as seen from Clover Island. 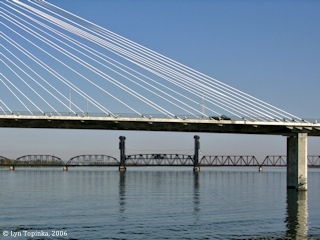 The Pasco-Kennewick "Cable Bridge" is in the foreground. Image taken September 29, 2006. By 1883 the Northern Pacific Railroad had completed a transcontinental line from Minnesota to Eastern Washington. They needed to cross the Columbia River and the spot they chose was upstream of the mouth of the Snake River, today the location of Pasco and Kennewick, Washington. The line would then follow the Yakima Valley and cross the Cascades at Stampede Pass. A temporary bridge was first built, which opened to trains on December 3, 1887. 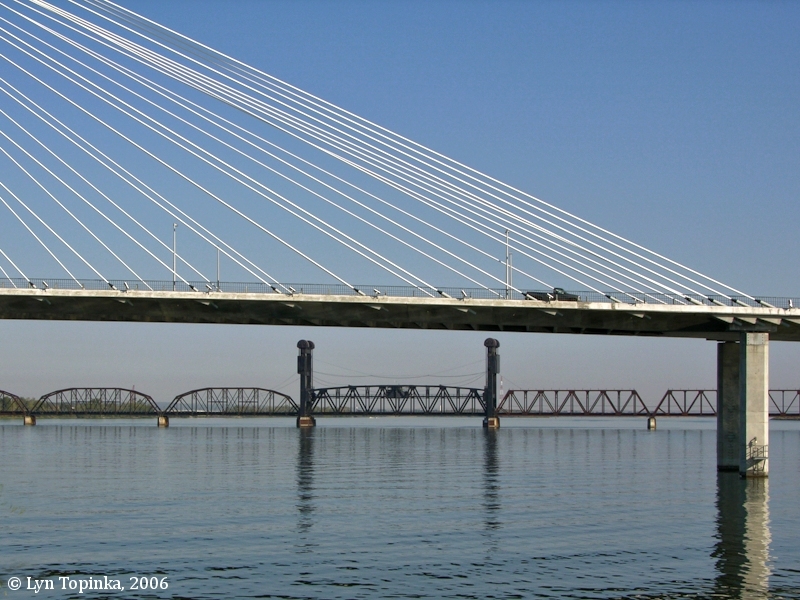 The permanent bridge was completed on July 14, 1888 and opened soon afterwards. A much-improved bridge remains in use today.